Learn more about PCC by downloading our brochure. Want to know more about us? Take a look at our brochure. In it, you’ll find information about our pediatric EHR and billing software, why we are experts in the business of pediatrics, the benefits of our services, and client testimonials. 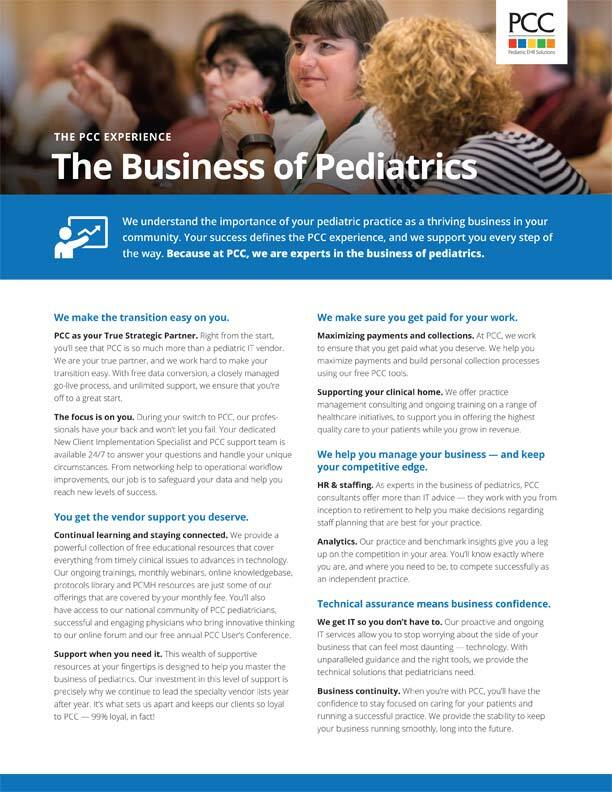 You’ll see how the PCC Experience improves the lives and practices of pediatricians across the country every day. Want to see PCC in action? Talk with a PCC sales representative to schedule a consultation.